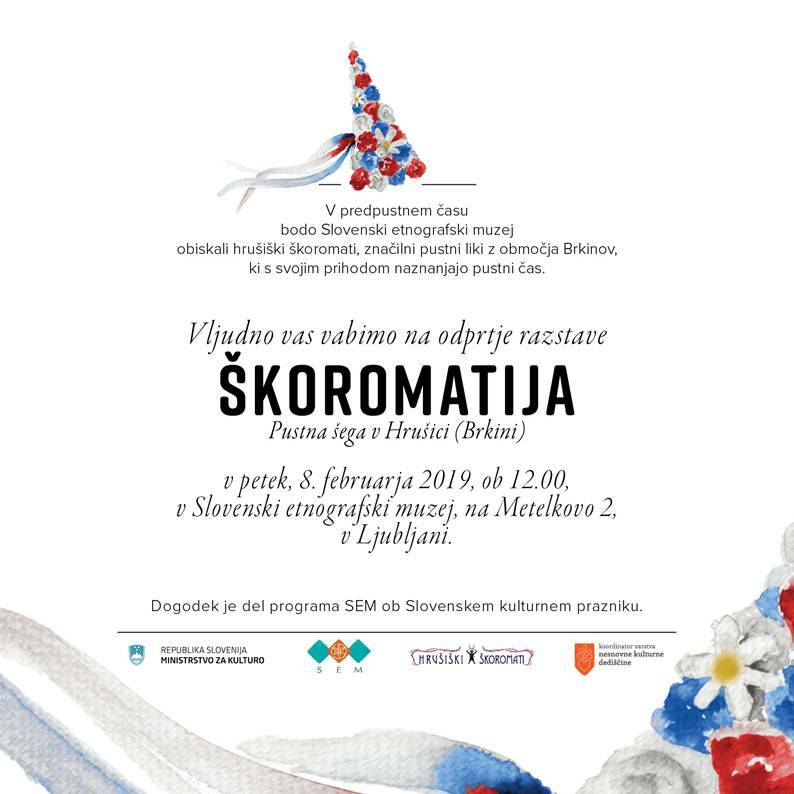 We kindly invite you to the opening of the exhibition Škoromatija: carnival tradition in Hrušica (Brkini), which will take place on 8th of February 2019 at 12 o'clock at the Exhibition Building of Slovene Ethnographic Museum. Škoromatija is a carnival tradition on the southern edge of the Brkini. On Carnival Saturday škoromati in village Hrušica go around the houses collecting gifts and on Ash Wednesday they bury or burn Shrovetide. In 2012 the Slovene Ethnographic Museum as the Coordinator for the Safeguarding of the Intangible Cultural Heritage prepared the proposal to inscribe Škoromatija in the national Register of the Intangible Cultural Heritage. This exhibition was prepared in cooperation with the representatives of the Coordinator and the bearers of this intangible cultural heritage. The exhibition will be on display until 10th of March.